The idea of this book is to establish a new scientific discipline, "noology," under which a set of fundamental principles are proposed for the characterization of both naturally occurring and artificial intelligent systems. The methodology adopted in Principles of Noology for the characterization of intelligent systems, or "noological systems," is a computational one, much like that of AI. Many AI devices such as predicate logic representations, search mechanisms, heuristics, and computational learning mechanisms are employed but they are recast in a totally new framework for the characterization of noological systems. 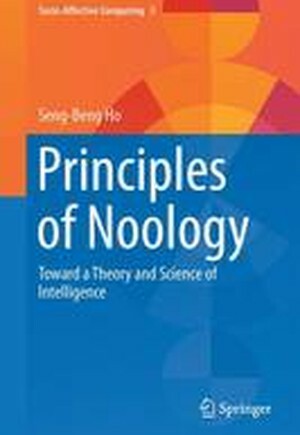 The computational approach in this book provides a quantitative and high resolution understanding of noological processes, and at the same time the principles and methodologies formulated are directly implementable in AI systems. In contrast to traditional AI that ignores motivational and affective processes, under the paradigm of noology, motivational and affective processes are central to the functioning of noological systems and their roles in noological processes are elucidated in detailed computational terms. In addition, a number of novel representational and learning mechanisms are proposed, and ample examples and computer simulations are provided to show their applications. These include rapid effective causal learning (a novel learning mechanism that allows an AI/noological system to learn causality with a small number of training instances), learning of scripts that enables knowledge chunking and rapid problem solving, and learning of heuristics that further accelerates problem solving. Semantic grounding allows an AI/noological system to "truly understand" the meaning of the knowledge it encodes. This issue is extensively explored. This is a highly informative book providing novel and deep insights into intelligent systems which is particularly relevant to both researchers and students of AI and the cognitive sciences.